Metro Vancouver home sales were down 39.3% in January 2019 compared to January 2018, and were the lowest January-sales total since 2009. 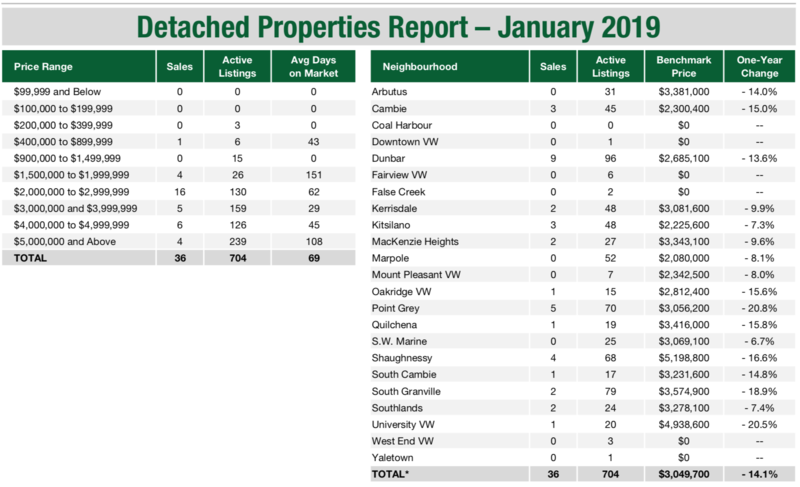 Sales of all properties in the Greater Vancouver Area reached 1,103 in January 2019, a 39.3% decrease from the 1,818 sales recorded in January 2018, and a 2.9 per cent increase from the 1,072 homes sold in December 2018. The total number of homes currently listed for sale on the MLS in Metro Vancouver is 10,808, a 55.6% increase compared to January 2018. Sales of detached properties in January 2019 reached 36, a -18.2% decrease from January 2018. The benchmark price for detached properties is $3,049,700. This represents an -14.1% decrease from December 2018. 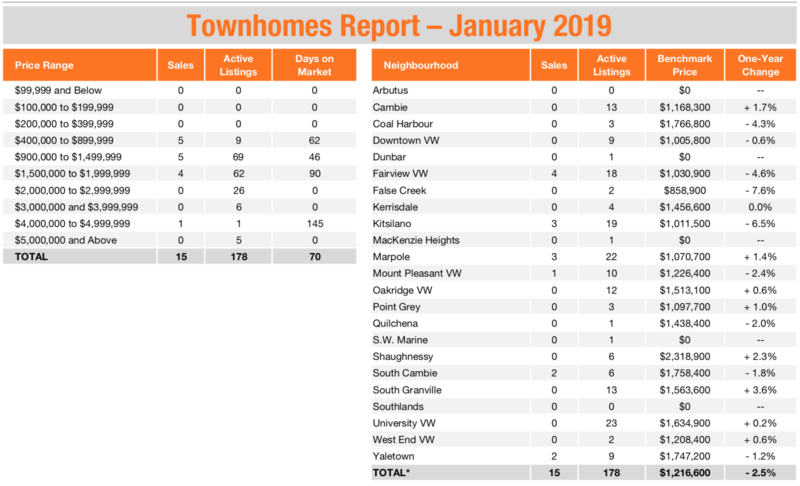 Sales of Townhomes in January 2019 reached 15, a 16.7% decrease from January 2018. The benchmark price for Townhome is $1,216,600. This represents an 2.5% decrease from January 2018. 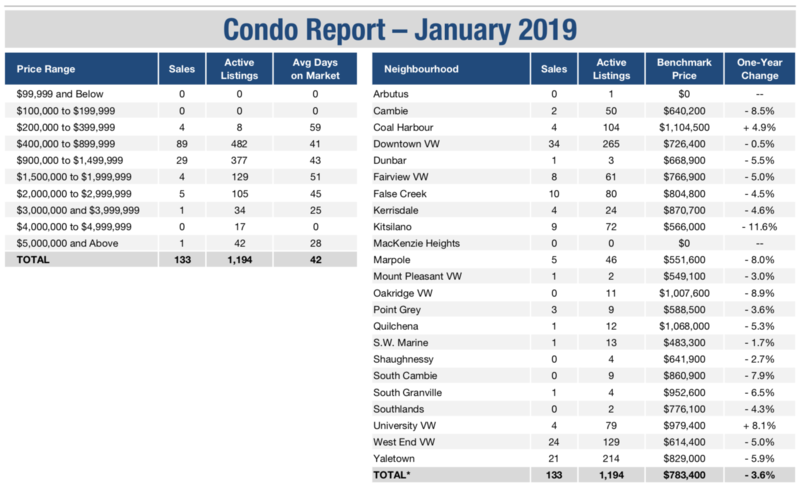 Sales of Condos in January 2019 reached 133, a 45.5% decrease from January 2018. 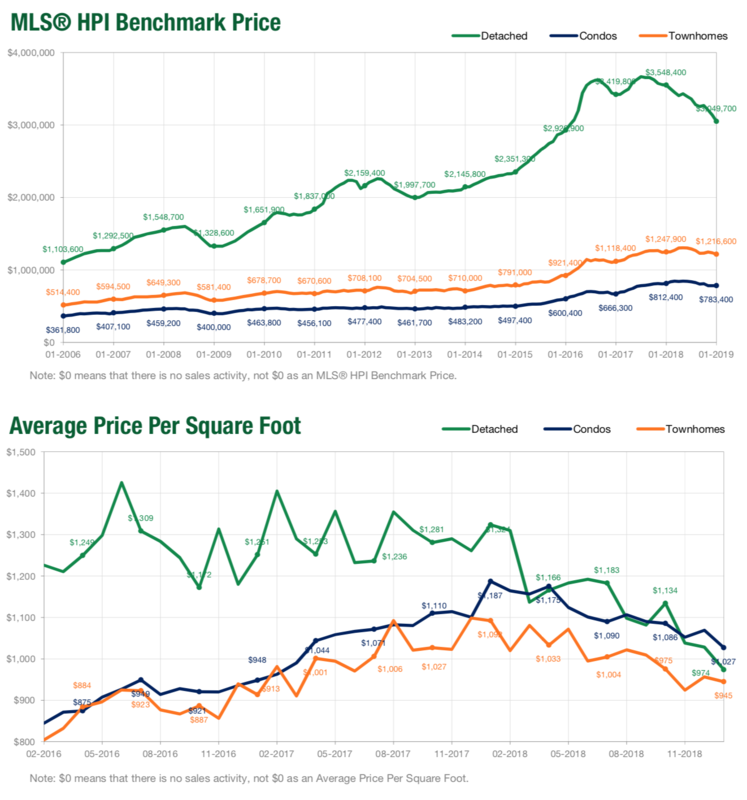 The benchmark price for condo properties is $783,400. This represents a 3.6% decease from January 2018. As a buyer, you have more supply to choose from than you've had in over 5 years. The higher the price point you are looking at, the more likely it is you can negotiate on price and favourable terms. Low Ball offers are becoming increasingly common, and some are being accepted. As a seller, make sure you are working with a professional Realtor who knows how to market your home extensively to maximize its exposure. Price is the most important factor and if you need to sell, make sure to price ahead of the downward curve. Smartly priced properties properties are still selling in the first week. As an Investor, you know we are in the early stages of the Slump Phase and are targeting the properties and investment strategies that thrive in this environment.